Furthermore, our commitment to adhere to the professional principles of the VID and the principles of adequate insolvency administration provide the basis for our occupation as insolvency administrators. Dr Siegfried Beck, as a founding member and the chairman of the VID, has been significantly involved in establishing and passing these professional principles and the GOI. 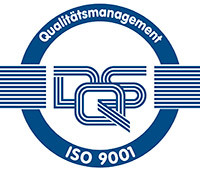 The certification according to InsOExcellence is a further development and enhancement of the certificate ISO 9001:2008. 223 articles define the professional structures of law firms for insolvency administrators. the continuation of business over longer periods of time. In addition, we guarantee that our insolvency administrators and lawyers as well as our employees are personally and financially independent of companies that we commission regarding the handling of insolvency proceedings.